If you are having trouble trying to choose a cake for someone, a gift certificate is a great option. 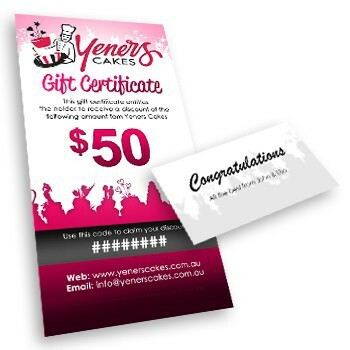 To use a gift certificate, just use the code shown on the certificate when ordering a cake. 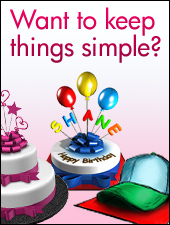 This can be done when over the phone, via email, or when enquiring or purchasing a cake through this website. You can choose to have your gift certificate sent to you via email (digital / printable) OR via regular post (physical / printed). Please note that theres an extra fee of $10 if you choose to have your certificate printed and mailed to you in the post. Of course you may also pick it up. - Gift certificates are non-refundable.